Although the KEYone has already been replaced as the newest BlackBerry smartphone by yet another mid-range Android handset, it's still available for purchase at many carriers and retailers across the United States. As a matter fact, AT&T now runs a great promotion on the BlackBerry KEYone, so if you've always wondered how this business handset would perform but didn't have the money to get one, this might be a good time to check it out. That's because the BlackBerry KEYone costs just $0.99 as long as you agree with a 2-year service contract with AT&T. Also, the carrier has decided to waive the activation fee, so you'll be saving another $45 if you decide to go for it. The catch is the deal is available online only and you can only get it if you're a business customer. It kind of makes sense since this is a business phone first, but it surely reduces the target of the promotion. Still, if you have a business account and don't mind signing a new 2-year contract with AT&T, the KEYone may be a suitable choice, especially at this price. 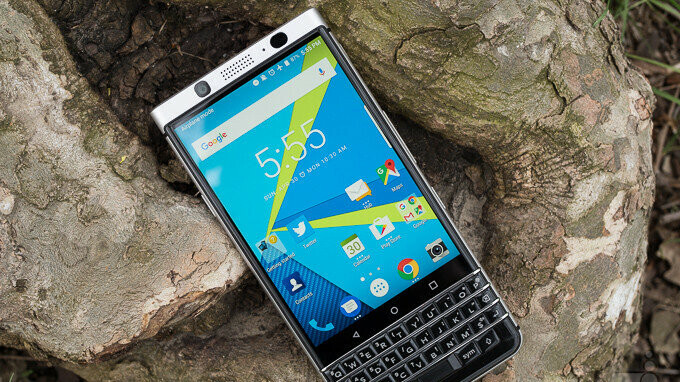 Also, don't forget to check out our BlackBerry KEYone review while you're at it. Sounds like AT&T is trying to get rid of a lot of excess KeyONE inventory. If you ask me, they should have just offered it at a lower cost(~$150) off contract given the midrange specs from last year. I love blackberry and wants a key 2 but have to agree with you. Your spot on with ur comment. Dumping a white elephant no one wants. Or, they're just making room for incoming KEY2 units. If not mistaken if you have some type of employee discount, your account is considered a business account.